The world's most fun-loving ethical tycoon is a true maverick and has been a disruptor ever since he started a mail-order record business in the crypt of a church almost 50 years ago. These days, it's hard to find an industry in which the Virgin empire hasn't planted its flag. 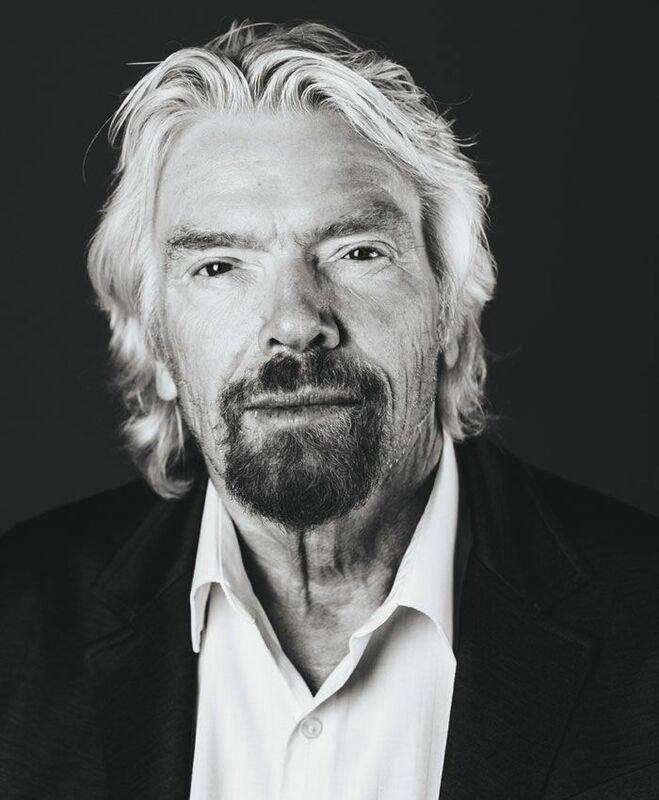 And with his latest ventures in publishing (his book The Virgin Way: Everything I Know About Leadership is out this month) health care, clean fuel, stem cell research and space travel, Richard Branson is leading once again. Personal OGs: Nelson Mandela is a guiding light to anyone with a vision in the face of adversity and to those who seek purpose in life. Influences: Sir Freddie Laker who started Britain's first no-frills airline and gave me essential early career advice. My mother and father. You're never too old or young to listen to advice. The guidance of older people is a free and wonderful resource not to be squandered! Have you had to face any set-backs in your career that left a lasting impression? I had to sell Virgin Records in order to keep fighting British Airways during its 'dirty tricks campaign' against Virgin Atlantic. It was just terrible to have to sell one baby to save another one. I found myself walking the streets of London holding a check for a billion dollars with tears streaming down my face. That gorgeous baby is now 30 years old -- and getting better with age. Entrepreneurs accept failure and know that it is part of the path to success. "The wound is the place where the light enters you." That's by Rumi, the 13th century poet. When I left school at 16 to start my first venture, Student magazine, my headmaster said I'd either become a millionaire or go to jail. I did both. Success is to have fun, do good and share wealth.